Comfortable place and friendly people ... I stayed just one night in Il Terrazzo B&B, on the last day of my trip to Europe. The place was nice and clean, and Mario and his wife (the owners) were willing to help whenever we needed! 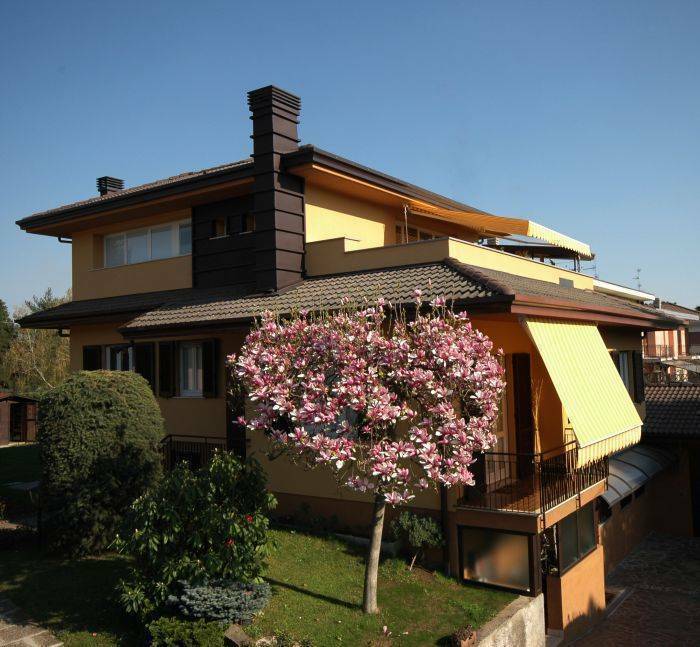 Only five minutes away from Milano Malpensa Intercontinental Airport, B&B Il Terrazzo is located on the first floor of a house surrounded by gardens opened in october 2007, is a completely new 70 square meters apartment. You will find two bedrooms, a living area, kitchen and a full-bathroom with shower and hydromassager. 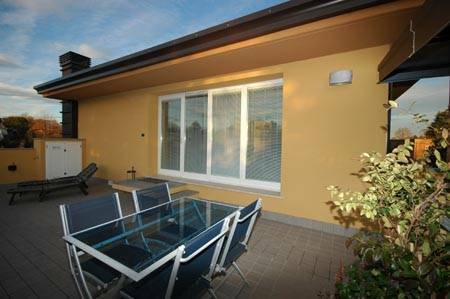 You can have breakfast outdoors, on the 30 square meters balcony, enjoying the view of the Park, or inside, in the living area. In the living area you will find satellite TV and no-charge internet connection. 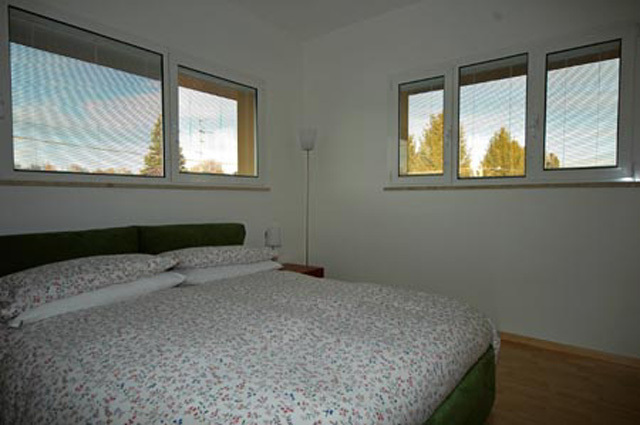 There are two bedrooms, the double may be used as single on request. 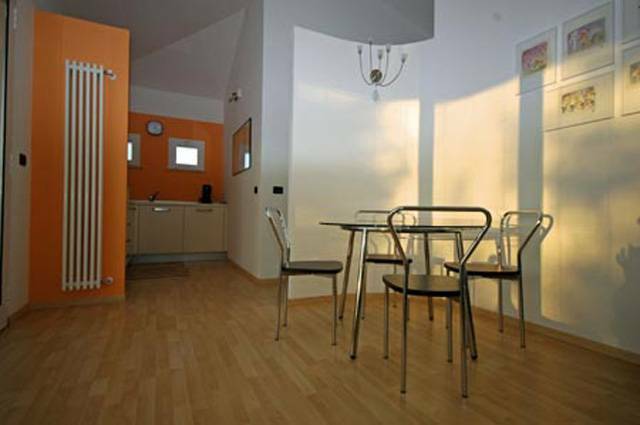 Kitchen appliances include refrigerator, microwave oven and a water heater for beverages. Taxicab service is available to Milano, and also for tours to Lago Maggiore (Maggiore Lake) and to Parco Del Ticino (Park of Ticino). 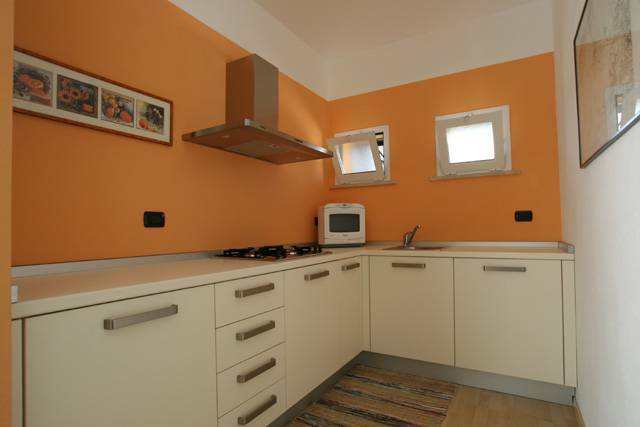 Kitchen witn microwave oven, refrigerator and coffee machine. From Milano A8 Milano-Laghi direction Busto Arsizio/Malpensa and exit Casorate Sempione. Nearest airport: Milano Malpensa at 5 km.